MiKyle “traitor” McIntosh rides the pine and logs 0 minutes for Portland today. Boy, lots of traitors in today's game of college basketball these days. If he was my son, I ABSOLUTELY would have encouraged him to explore his options. Under the RULES, he earned that right. I doubt, deep at heart, many of you would discourage your son from being a starter on a P5. And that end of game situation...it was a bang bang play, and if you've ever played organized basketball, one realizes that the play just as easily could have been a no call and probably should have been. What was Mikyle supposed to do?? Not guard the play??? The offensive player was borderline out of control when he made contact with MM. Good luck, Mikyle. I enjoyed you as a Redbird. Why don’t you write a book about it next time? MiKyle leaving helped both himself and ISU. I like him but MM was always the 3rd or 4th best option at ISU and had the 1st or 2nd highest usage rate. As a freshman he had the worst efficiency and was 4th in usage. He forced action way to much. If he was on ISU last year he would have had a ~28 usage rate, which would have taken the ball away from Yarborough, Evans, and Fayne. Most likely a large portion of that would have come from Yarborough, and he wasn't going to be as efficient as any of them. It was the same at Oregon last year. If he picked his spots better he could have helped ISU last season, but that wasn't going to happen. Last year's version was Clarence, but his minutes were managed better. Hawkins leaving hurt WAY more. Here's the other thing. MM wouldn't have been the best player on our team. Based on last year's stats, he might've been our fourth best player. In fairness, if he would have been on the team Phil, Key, and Miliks numbers would have gone down significantly. It's a good point, but disagree. Boogie and the bench would have 'suffered' so to speak. Don't believe Phil's numbers would have budged a bit. jMO, man. BTW Adunk, you are a massive source of info for all things Redbird basketball. If the offensive player was borderline out of control (which he was) then backing off and not guarding him would have been the wise decision. Junior High play.!!! Pun not intended and pun intended. Hope you're having a good day, buddy. For real. Akoon-Purcell went 18/3/3, hitting 3/4 from 3. Sterling Brown scored 27 for the Bucks in their 90-83 loss, and wasn't tazed. Watched the entire game, REALLY happy for DeVaughn! Seth Greenberg kept speaking about how well he played, that he has an NBA body and that he can really contribute to right now on a roster. He couldn't say enough good things about him. DeVaughn looked extremely comfortable on the floor, was very confident shooting, penetrating the lane and played with an ability to see the court and find the open man. Both announcers were giving lots of praise to his game. He was the MVP of his league and his team won the championship. I've been following him on Instagram as well (dap44_) and have enjoyed following his career overseas and his Instagram Story videos he posts as well. Seth also mentioned that he won the FIBA Euro Cup Basketball Player of the Year award as well which was inclusive of multiple leagues. I think he averaged around 21 per game. Beyond his shooting, he has developed into a great passer and all around offensive player and threat. Very comfortable on the court. Biggest part of his game he can improve is his defense, it's not lacking, just not as strong as his offense. They also had the GM from the Nuggets being interviewed and he gave huge praise to DeVaughn as well. 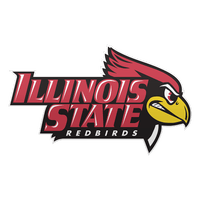 They mentioned Illinois State at least 3-4 times in the broadcast. The GM said what a great player he is and how his scouts do such a great job finding talent overseas, that his league isn't known as one of the best and they feel like they found something special in him. Great post, Doug. Thanks for the good information. Nugs are on espn 2. DeVaughn is #5. Well . . . in 4 games he's had 2 really good games and 2 not so good games . . . he started in only 1 game. Just not sure . . . would love to see it happen, but I'm not holding my breath. It would be nice, but the NBA can be cruel. Nuggets just signed Isaiah Thomas. That can't help DAP's cause. Akoon-Purcell is one of the “great surprises” of the Nuggets’ summer league team, which plays its final game in Las Vegas Friday night against Minnesota. The athletic shooting guard with defensive versatility and a ferocious offensive approach has averaged 12 points, two rebounds, 1.5 assists and two steals in 19.3 minutes per game, making his case for a two-way NBA contract with Denver or another team watching from the Cox Pavilion on UNLV’s campus. Pretty good article on him, several quotes from Muller. At least the reporter likes DAP!! The Nuggets also just dumped 41 million worth of salary to the Nets. Isiah Thomas' deal is a min$- 1 year deal. They have plenty of money to go around. I doubt money is the issue, it's just whether they want to give a guy like DAP some PT, or use it on draft choices, other "key" acquisitions, etc. I'm pretty cynical about the NBA. But he's played his way into a shot, that's for sure. Seems like those 2-way contracts have given guys more chances than in the past. The guy from Villanova played a fair amount with the Bulls last year. Nuggets adding Thomas hurts his chances. I'm hoping he showed enough to catch on somewhere. DAP did not play in their last game. Unfortunately, I think that means he’s headed back to Europe. Obviously, DAP would love to make the NBA roster, but at the same time, I think one of his goals was to get a better overseas contract. In fact, I believe he said it in one of the interviews posted in this thread. He should be in one of the top euro leagues next season. Nuggets or not, the summer league experience will do what he needs it to do--make more money! Good on ya, DAP! You're going to be changing tax brackets based on your play last week.